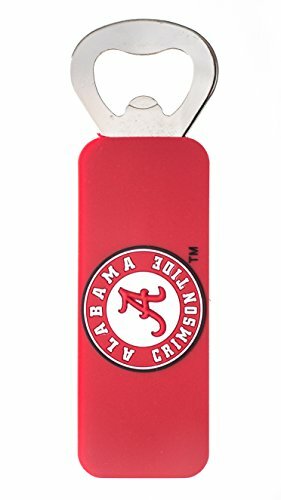 56435116 CLG: Alabama Features: -Made in the USA. Country of Manufacture: -United States. 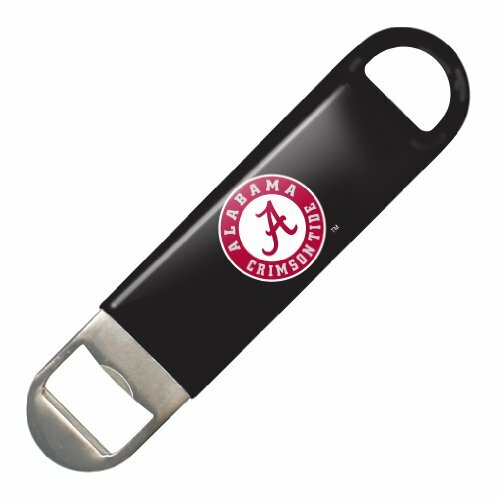 Product Type: -Bottle opener. Primary Material: -Wood. Dimensions: Overall Height - Top to Bottom: -11". Overall Width - Side to Side: -5". Overall Depth - Front to Back: -0.38". Overall Product Weight: -1 lbs. 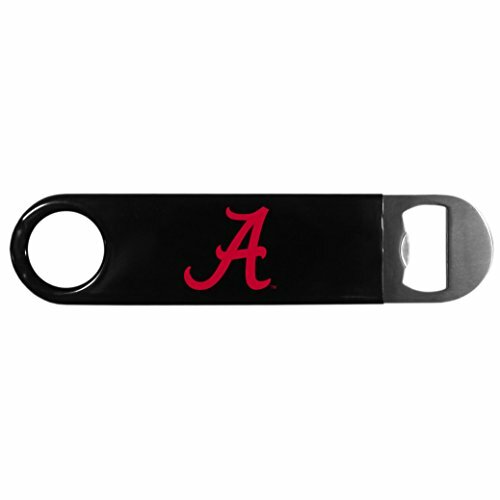 Retro style metal bottle opener that mounts to a wall or hard flat surface. Artfully designed with Team color logo. 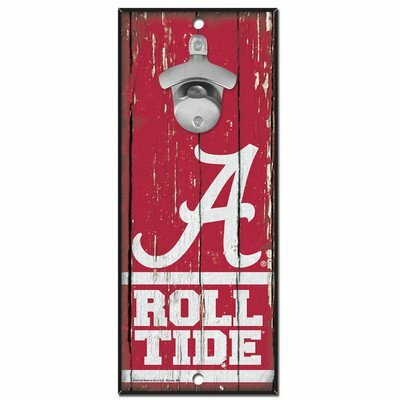 Own a timeless décor piece while showing your Team Pride. 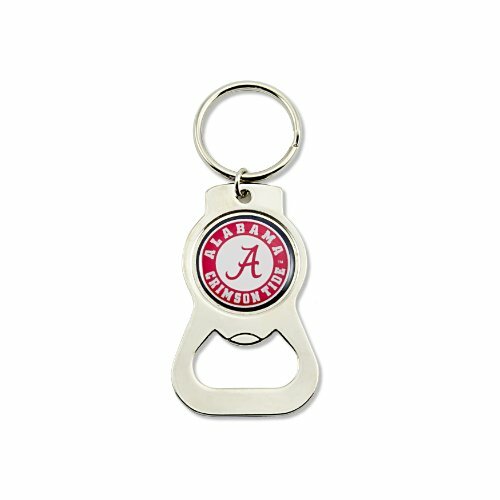 Accentuate your Collegiate Collection with the colorful display of Arthur Court's reversible University of Alabama Bottle Opener. 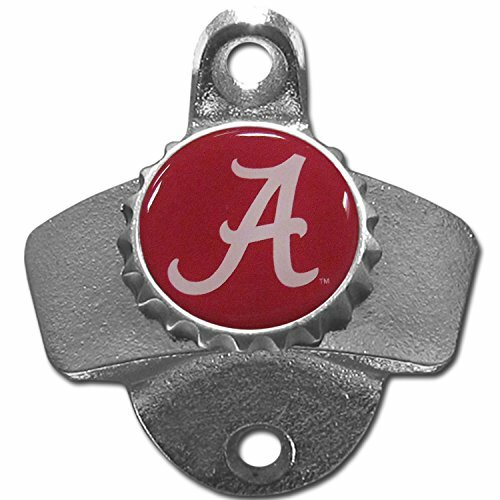 A swooping, crimson 'A' stands out from the lustrous aluminum on one side of this piece, while crisp, 'BAMA' letters round out this handmade design. 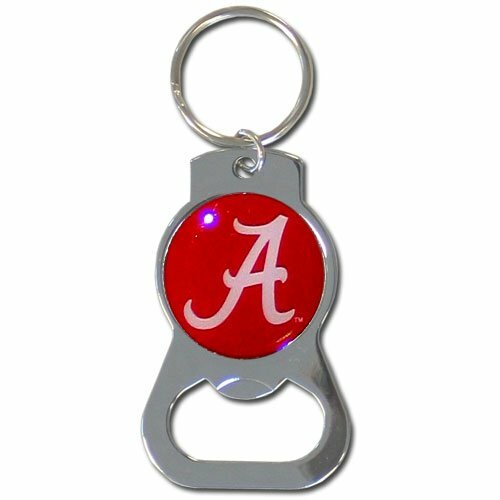 This magentic bottle opener is a great way to show your school spirit with the embossed logos and vibrant school colors! The magnetic backing will allow you to put it on your fridge or even on your truck! 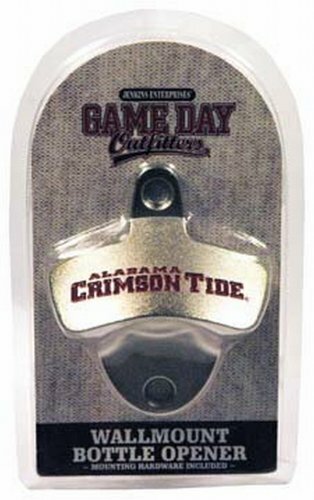 Is great for tailgating! 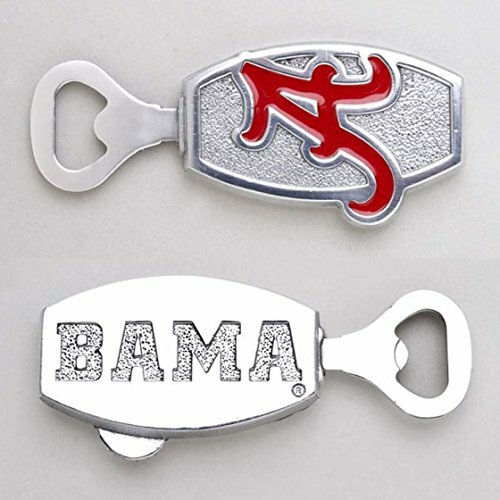 Shopping Results for "Alabama Bottle Opener"